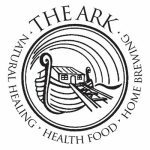 Nutritional therapist Amy Desborough and practitioner of Bowen Technique and functional medicine, Lise Matthews run regular clinics as The Nutrition Detectives at The Ark in Haverfordwest. We test for imbalances and intolerances in the body, whether physical, emotional or biochemical. Muscle testing is the tool we use to establish the cause of disease. We don’t just treat the symptoms. We use natural remedies such as herbs, probiotics, vitamins, minerals and amino acids together with dietary advice to correct health problems. Book your individualised health testing session at their regular clinics in Pembrokeshire, or if you can’t get to them, use our hair testing service. Time to get your Mojo back!